Sincerely appreciate each of you to visit our booth. Where our booth was located is a bit hard to find, but you found us. Most of you inquired and discussed a lot with us. After meeting in person, did you get to know more about us? Are you excited same as us to share business chance with each other? Share your thought with us, let us serve your business properly. Look forward to your earliest news! Spring Festival will come soon. 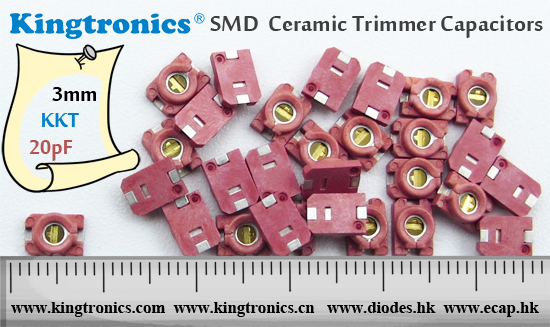 Do you need new supplier for electronic component? I know currently you have many good supplier, but if you choose us, you will worth it. Our high quality, unbeatable prices and competent service can help you get good reputation from your market and win many orders. 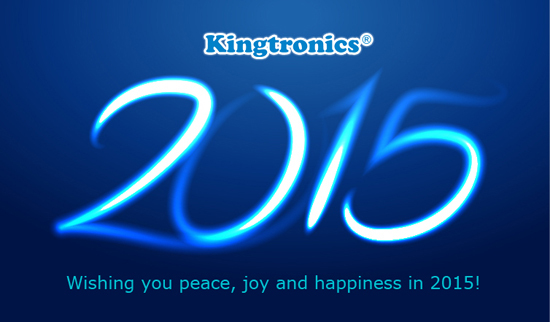 We look forward to your RFQs, and Kingtronics can support you free samples. MKT: Radial multilayer ceramic capacitor. QKT: Quartz Crystal HC49S, HC49U, HC49SMD. Wishing you peace, joy and happiness in 2015! Kingtronics International Company was established in 1995 located in Dongguan City of China to handle all sales & marketing for factories located in Chengdu, Sichuan and Zhaoqing, Guangdong, China. In 1990, we established the first factory to produce trimming potentiometer and in 1999 we built up new factory in Zhao Qing, Guangdong. 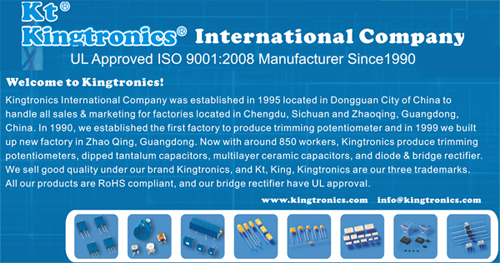 Now with around 850 workers, Kingtronics produce trimming potentiometers, dipped tantalum capacitors, multilayer ceramic capacitors, and diode & bridge rectifier. 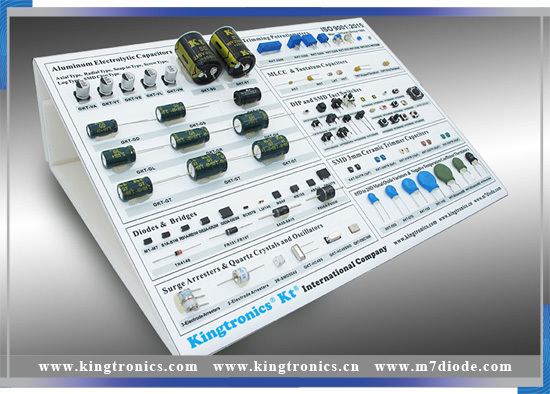 We sell good quality under our brand Kingtronics, and Kt, King, Kingtronics are our three trademarks. All our products are RoHS compliant, and our bridge rectifier have UL approval. A potentiometer is an adjustable resistor. 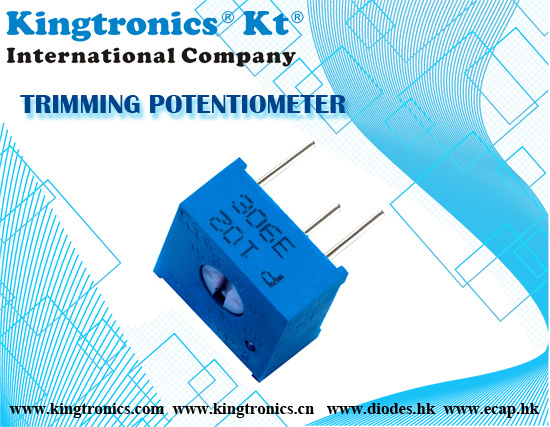 This is why some customers called potentiometer variable resistor. Resistor include fixed resistor and variable resistor. Variable resister (potentiometer) belongs to passive components. A potentiometer is constructed using resistive element comprising an arc of a circle and a sliding contact (wiper) travelling over that arc. Potênciometros, POTENCIOMETRO MULTI-VOLTA, POT 3296, POT 3006, POT3386, Potencjometr, 3386 PRESET 1 VUELTA, Potencjometry, Потенциометр 3296, Potentiomètre, Potenziometer.